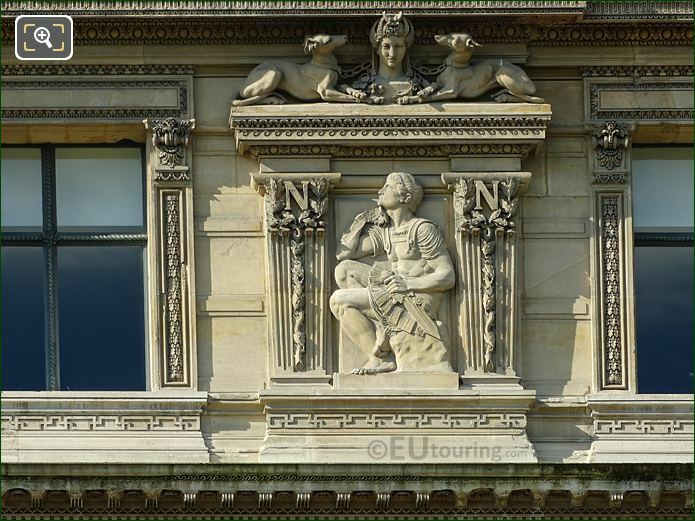 We were at the Musee du Louvre in the 1st Arrondissement of Paris, when we took these high definition photos showing a bas relief called La Prevoyance, which was sculpted by Jean Joseph Perraud. 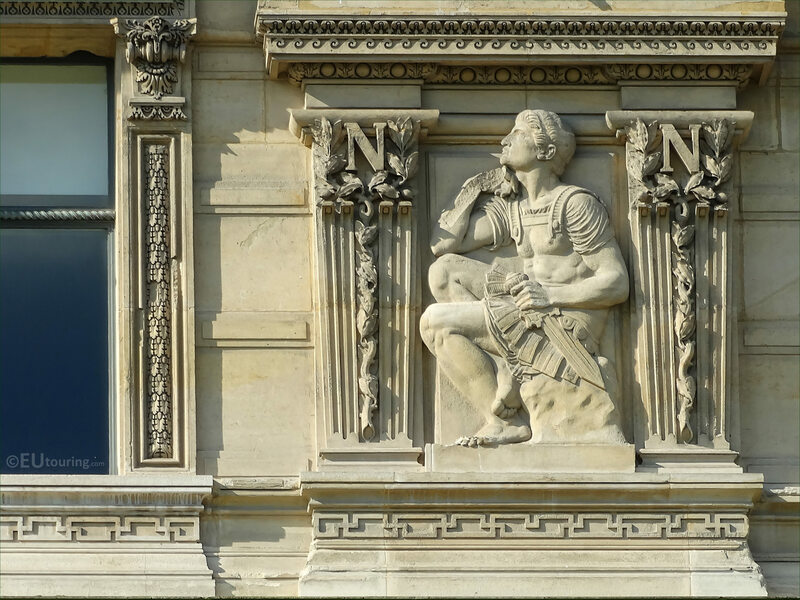 This first HD photo shows a bas relief sculpture called La Prevoyance, which in English generally translates as The Foresight, and when you are in the courtyard of the former Palais du Louvre you can see this sculpture on the third level of the Aile de Flore, to the right hand side of the eighth window below the pediment. 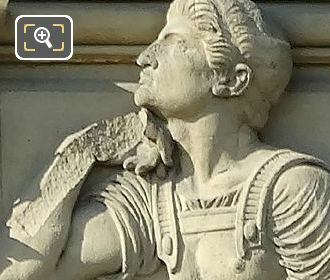 And here you can see a close up photograph showing the bas relief of The Foresight, which was produced by Jean Joseph Perraud who was born in the Jura area of France in 1819 and studied under people such as Auguste Dumont to become a French sculptor, winning the Prix de Rome in 1847 that led to numerous public commissions. You will find that Jean Joseph Perraud produced no less than seven works for The Louvre including this one of La Prevoyance, plus produced statues, busts and sculptures for numerous different tourist attractions including the Palais Garnier, Palais de Justice, Gare du Nord, Chateau de Fontainebleau, Jardin Marco Polo and many others through a prolific career, receiving several medals and awards along the way.